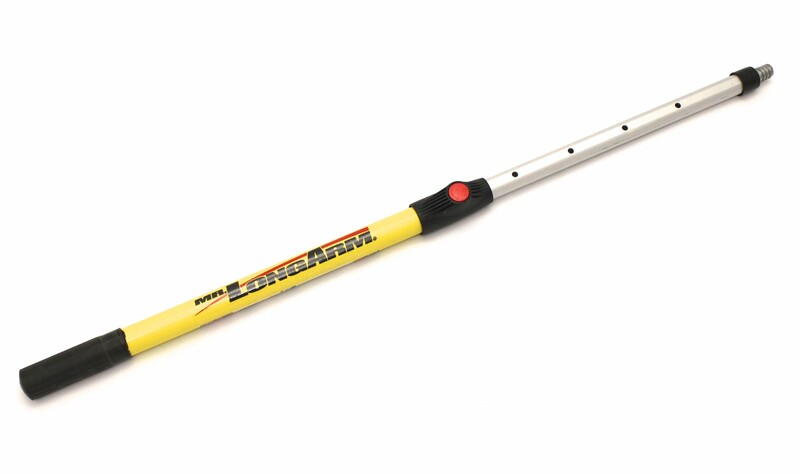 Mr. LongArm Extendable Brush Handle | Hotsy Equipment Co.
Mr. LongArm Extendable Brush Handles are designed with the professional in mind. A smooth fiberglass handle and tri-oval slider prevents twisting and the patented push button locking device provides the most secure lock in the industry. 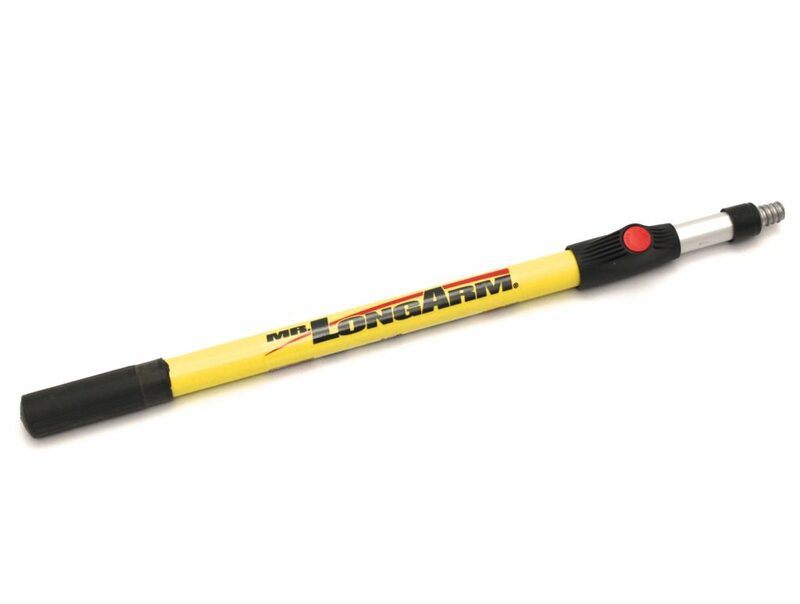 While twist locks loosen over time, the push button holds strong solidifying the Mr. LongArm Extendable Brush Handle as the premier brush handle on the market.